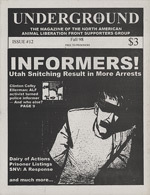 Our Underground collection continues its way into 1998, a somewhat bittersweet year for the movement. 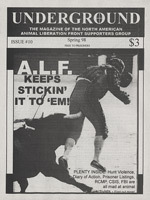 After a period of steady growth in both illegal direct action and militant grassroots activity, No Compromise editor and well known activist Freeman Wicklund denounced the ALF (and most forms of protest) at a large demonstration in southern California. 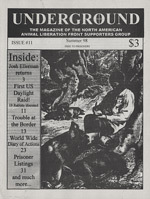 His “new” perspective was merely a recycled, pro-animal form of pacifist strategy taken from Gene Sharpe, and he demanded that people take sides. Freeman was charismatic and many young people had first began their involvement after hearing him speak. They were now torn by his change of heart. 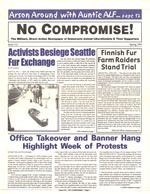 Many people dropped out, and above ground pressure campaigns largely ground to a halt. 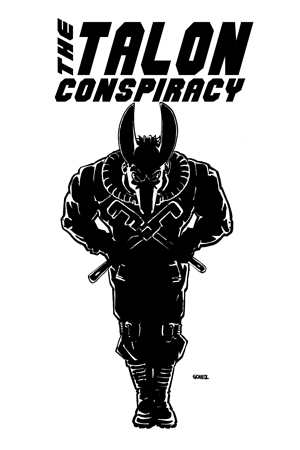 ’98 also saw a continuation of the previous years snitching epidemic, but, as always, some positive developments buoyed our spirits and resolve. 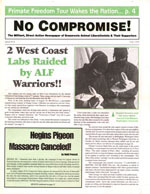 In Oregon, protestors jumped the fences at a farm which bred rabbits for vivisection, and soon the United States had it’s first daylight raid underway. 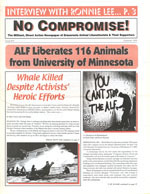 Katie Fedor, an organizer with Minnesota’s Student Organization for Animal Rights, became the United States’ first ALF Press Officer in more than a decade, and soon she was speaking out in favor of sabotage and liberations in major media outlets on a regular basis. The conviction of the “GandALF 3” was suddenly overturned on grounds that they had not, in fact, conspired with person unknown to carry out unknown actions at unknown locations! Finally, good people with dedication and resolve rained hell down on animal abusers all year long, resulting in thousands of lives lived outside of cages. It’s hard to keep a good movement down. 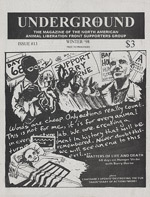 Also see Underground 1-3 and Underground 4-6 and Underground 7-9 and Underground 14-15 and the final rare issue, Underground 16.